Piper is sitting at her desk looking at her laptop. DOUG: Is that you, Imogen? PIPER: It's alright, I'll forgive you this once. As long as you never mistake me for Kylie Jenner, we're cool. So, is Nan round? DOUG: Just a tick. (Shouts) Pam! Pam? She must have nipped out somewhere. PIPER: That's alright. So, what's it like living with all the crocs in the Outback? DOUG: The last couple of weeks haven't been great to be honest. I've been getting...disorientated, losing things. DOUG: Stinking hot, as always! PIPER: You should come to Canada, at least we get a break from the heat there! DOUG: It's a shame we can't be there. 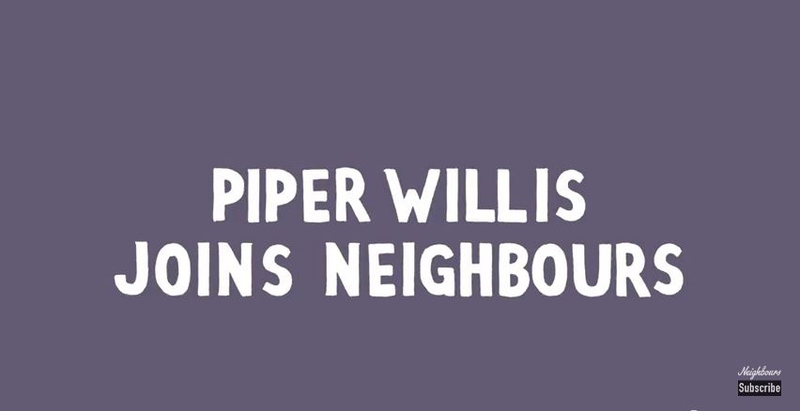 PIPER: Well, why not?! You should come and visit me! DOUG: I don't know, it's a bit of a hike! PIPER: But it'll be worth it when you get to see me! DOUG: Hang on, what time is it there? Must be late. PIPER: Um...we're seventeen hours behind, so right now, you're in my future. So, feel free to send me the lottery numbers! PIPER: Actually, um, I've just been working on my new vlog and, um, it's all about relationships, and y'know, what makes them work...if love can survive anything. And I still need to interview a few more peeps, and I thought that since you and Nan have been married since the dinosaurs...um, y'know, you could give me some help. DOUG: That's Pam's area of expertise. PIPER: Oh, please? Look, anything, I could really the advice. She holds up a pad with a "VLOG" title on it and nothing underneath. DOUG: Are you sure nothing else is going on? PIPER: I've been...sort of seeing this guy. DOUG: Not a bad one? At least, I hope not. DOUG: What did you two get up to? PIPER: No, nothing. Right now, we're on a break. To...sort out our "complications". DOUG: You'll just have to hope that it'll blow over, eventually. PIPER: Yea, it's just...everyone at home I'm worried about...you know, they're going to be furious when they find out, I just know it, I mean, it's not like I'm doing this intentionally to hurt anyone. Part of me wants to stay in Canada and be away from the family and be with him, and the other half of me just wants to come back home and pretend that he never even existed. But the screen has frozen, and then the call drops completely.